What are Solar Roof Tiles and Shingles? Solar roof tiles (also referred to as solar shingles) are small solar PV panels designed to look like traditional asphalt roofing. They are also often referred to as solar shingles or slates. Solar tiles are a popular choice in new builds and are often implemented as part of roof replacements since they can be used in place of regular shingles. Whilst they are certainly an aesthetically pleasing choice they are not suitable for all roof types and tend to be expensive, meaning many homeowners still opt for an array of traditional solar panels instead. How do Solar Roof Tiles Work? Solar roof tiles generate power in the same way as traditional solar PV panels by harvesting sunlight and converting it into energy. The array itself is made up of many small, flexible shingles installed individually and wired together. Generally, solar tiles are silicon based like traditional panels but some newer designs on the market use thin film technology. This style incorporates copper indium gallium diselenide (CIGS) and offers the benefits of lower production cost and shorter installation time. Currently solar panels are able to generate more energy, meaning they can take up less roof space and are more cost effective. However, developments in solar roof tiles have meant increases in their generation levels with some CIGS models able to reach conversion efficiency close to traditional panels. 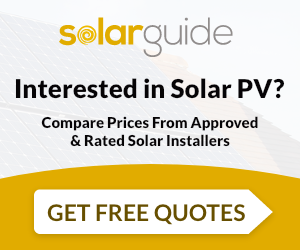 The price of solar tiles is still considerably higher than that of panel installations. Since solar shingles can function as actual roof tiles, they could still be a cost effective solution for anyone looking to replace their roof anyway or tile a new roof. Not all roofs are suitable for a solar array of any kind but there are more restrictions with solar shingles than traditional panels. The main reason for this is that the pitch and angle of a roof must be ideal for solar tiles as they cannot be angled and adjusted like traditional solar panels. One of the biggest selling points for solar roof tiles is how they look. Traditional panels are labelled an ‘eyesore’ by many people due to their bulkier design whilst solar shingles are designed to blend with or replicate asphalt tiles. Solar panels have an expected lifetime of 20-25 years and have proven to be very durable. Solar tiles on the other hand have not been used long enough for us to know their average lifetime (although many suppliers offer them with a 20 year guarantee). They are however build to withstand the elements and even act as functional shingles, protecting the roof underneath.